The Cayman Islands is on of the worlds most famous (or infamous, depending on who you ask) centres of international offshore banking. It has been designated an offshore financial centre by both the IMF, the OECD and the Financial Secrecy Index. The financial services industry is regulated and governed by the Cayman Islands Monetary Authority (CIMA). At the time of writing, there are over 250 banks on the Cayman Islands, and most of them are not licensed to have domestic clients. Instead, they are licensed only for international (non-Cayman Island) clients. Roughly 20 banks are licensed to conduct banking activities with both domestic and non-domestic clients. The Cayman Islands introduced the Mutual Funds Law in 1993 and thus started its journey towards becoming the world’s leading offshore hedge fund jurisdiction. By mid 2008, the milestone 10,000 hedge fund registrations was reached. The Mutual Funds Law has since then been copied by several other jurisdictions in a bid to attract mutual funds. The Cayman Islands history as a tax haven has deep roots, and the colonial governments of the islands have typically relied on indirect taxes instead of direct ones, with a few notable exceptions. There is currently no income tax, no capital gains tax, no wealth tax, and no estate tax in the Cayman Islands. There is also no corporation tax, making the Cayman Islands a popular haven not just for stashing away money but also for setting up corporations. According to legend, King George III promised to never introduce taxes in the Cayman Islands after the incident known as the Wreck of the Ten Sail. On 8 February 1794, Cayman residents rescued the crews of ten merchant ships in an incident known as the Wreck of the Ten Sail. The ships had struck a reef and run aground in a storm. The rescue-part of the story is true, but the promise from the king is fiction. Today, the government’s primary source of income is indirect taxation. There is an import duty on most goods, varying from 5% to 100%. Most imported goods fall within the 5% – 25% duty span, but for some goods the duty is considerably higher. For automobiles, it is 29.5% – 100%. Examples of goods exempt from import duty are baby formula and books. 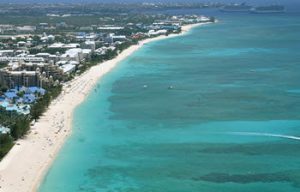 The Cayman Island government also charges a 13% tax on tourist accommodations, a flat-rate airport departure tax, a flat-rate licensing fee on financial institutions, and a work permit fee on foreign labour. In 2012, the Cayman Island’s premier McKeeva Bush announced intentions to introduce a payroll tax for expatriate workers. This would have been the first direct income tax in the history of the Cayman Islands, but the suggestion was scrapped and never implemented. In the year 2000, the Cayman Islands committed to regulatory reform to increase transparency and commence information exchange with OECD member countries. This policy change was the result of OECD threatening to place the Cayman Islands on the OECD “black list” and impose sanctions. In 2004, the Cayman Islands – pressured by the United Kingdom – agreed in principle to implement the European union Savings Directive (EUSD), but only after negotiating some major benefits for its financial services industry. In 2005, the IMF published a report about the Cayman Islands where they concluded that “an extensive program of legislative, rule and guideline development has introduced an increasingly effective system of regulation, both formalizing earlier practices and introducing enhanced procedures”. Despite these changes, the Cayman Islands was still considered a tax haven. 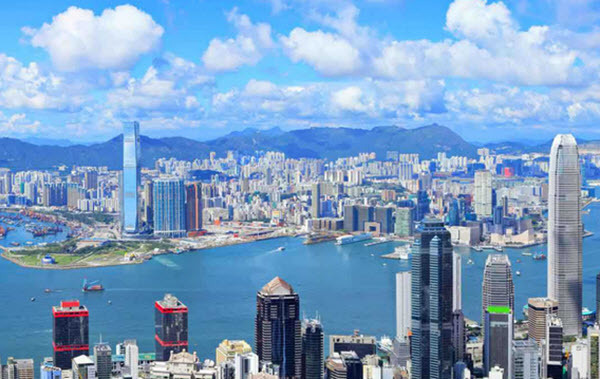 In 2013, it was ranked as the 4th safest tax haven in the world by the Tax Justice Network. In 2014, the situation changed for U.S. investors since the Cayman Islands was deemed to have a Model 1 Inter-Governmental Agreement (IGA) with the United States of America in respect to the U.S. Foreign Account Tax Compliance Act (FATCA). The economy of the Cayman Islands is one of the most prosperous in the Caribbean, with an estimated GDP (PPP) of 2.507 billions USD for the year 2014. The service sector accounts for over 70 percent of the GDP, industry for approximately 28 percent and agriculture for less than half a percent. Nearly 80 percent of the labour force works in the service sector. The financial service sector and the tourism sector are both very important for the Cayman Islands economy. The tourist industry is chiefly aimed at the luxury market and majority of the visitors come from North America. In an effort to diversify, the Cayman Islands has been promoting investments in the medical tourism sector and in the field of technology. Cayman Enterprise City is a special economic zone planned for enterprises active within the fields of technology, education and finance, while Health City is a planned hospital in East End catering to the needs of visitors. Due to a lack of arable land and freshwater, the Cayman Islands is very dependent on imported food. Roughly 90% of food and consumer goods are imported. The currency of the Cayman Islands is the Cayman Islands Dollar (KYD), which is pegged to the United States Dollar (USD) at 1.227 USD to 1 KYD. Many stores in Cayman Island use the exchange rate 1.25 USD to 1 KYD. The Cayman Islands is a British Overseas Territory in the Caribbean. It consists of three main islands: Grand Cayman, Cayman Brac and Little Cayman. All three islands are found south of Cuba and northeast of the Costa Rica mainland. Geographically, the Cayman Islands are a part of the Greater Antilles. There is no archaeological evidence indicating that Native Americans ever settled on the Cayman Islands. The islands seem to have remained uninhabited until the 17th century when pirates, shipwrecked sailors and deserters from Oliver Cromwell’s army in Jamaica began arriving. In 1670, England took formal control of the Cayman Islands. Cayman Islands were then governed as a part of the Colony of Jamaica until 1962 when the Cayman Islands became a separate Crown colony and Jamaica became an independent Commonwealth realm. Today, the Cayman Islands is a British Overseas Territory.